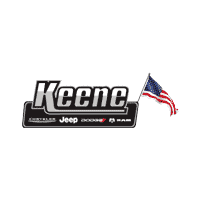 Looking for new custom Jeeps for sale in Keene, NH might be slightly difficult, since most custom off-road Jeep Wrangler mods are geared towards new 2016 models. After all, the Wrangler is still the king of the off-road world, but have you ever considered taking a lifted Jeep Patriot off-road? If you look hard enough though, you can find a few veteran models of Jeep out there that are much more affordable than a Wrangler. 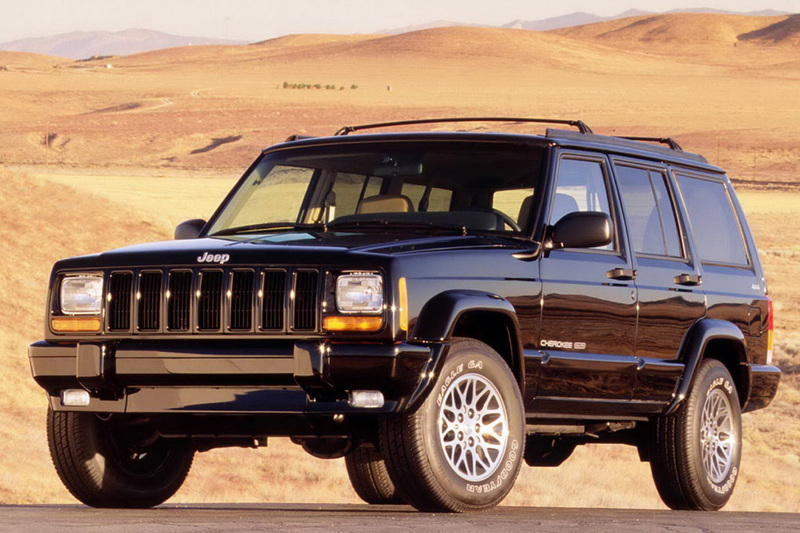 The top three that come to mind are the Cherokee and Grand Cherokee — which ruled the early ‘90s off-road scene next to the Wrangler — and the Liberty, which only lasted for a short time from 2002-2007 on the KJ platform. You don’t need to break the bank on the initial purchase of an off-roading rig. There are cheaper options out there other than the Wrangler. While they might not beat the Wrangler (especially the new ones) in terms of off-road capability and mods, they are still able to give you an above-average off-road experience, and provide a handful of unique advantages. Alas, the Wrangler is still the reigning champion in 2016 when it comes to off-roading and customization. Popular off-road companies like AEV deal in strictly new Wrangler modifications for off-roading. If they are able to stay afloat just by providing things like bumpers, snorkels, and suspension kits exclusively for the Wrangler, then it has to be the king of off-road. If it wasn’t the most popular off-road vehicle today, the business wouldn’t be able to stay alive. Not only has the Wrangler improved off the road, but it’s gotten much better on-road as well. With better handling, ride-quality, and fuel-efficiency, it now adds true on-road capability to its long list of versatile qualities. Even when heavily modded, a 2016 Wrangler is able to go from crawling over rocks to immediately driving on the highway with ease, and feel right at home on both. Safety and electronics are now prevalent in new Wrangler models, featuring enhancements like touchscreens, power seats, exceptional sound systems, and even a few advanced safety features. Remember back in the day when they were just bare-bone husks that went from point A of the trail to point B of the trail? Not anymore. Now you can conquer the trail in style, comfort, and with the aid of numerous electronic features. While they might not have the same type of versatility or capability that a new Wrangler model has, finding yourself another old-school pre-modded — or soon-to-be-modified — Jeep model will have some unique advantages. No, it won’t be shiny. No, the fuel economy won’t be even marginally good. Ride-quality will be poor and uncomfortable on the road, and it might not even have heat or air conditioning. But, you know what? It’s going to have a battered and scarred appearance that makes it unique, with a history of off-roading adventures under its belt. Not to mention, the older Jeep models are freaking tanks, and even the older Wrangler models beat the crap out of new ones when it comes to durability of design. More importantly, however, they’re much cheaper. While older Wranglers are still expensive, your Cherokees and Grand Cherokees — particularly late ‘80s and early ‘90s models — are a dime a dozen right now. The Liberty I mentioned earlier lasted for a short five years, but you can get them for a relatively cheap price, thanks to depreciation and their relative unpopularity at the time. Buying these models at such a cheap price means you’re able to spend more money modding it later on. Or, you can find a pre-modded one for a little more money. But, it will still be plenty affordable. That weathered look I mentioned earlier? That also provides a unique advantage. Since it’s a rig that’s already experienced off-road travel, you won’t have to worry about damaging a shiny new paint job like one found on a new Jeep model. Even if the modification and off-road parts might be a little more difficult to find than those for a new Wrangler, you’re bound to get those for cheaper as well. Therefore, it’s worth checking out some of these alternative models. Old school Cherokees are right up there with the Wrangler in terms of fame and capability. Together, these were easily the two heaviest modded off-road Jeeps all throughout the ‘80s and ‘90s. Some drivers still consider them today to be the cheapest and most reliable vehicles for modifying, or general off-road use. If you do decide to grab one of these, make sure to get one with an inline six-cylinder 4.0-liter engine. This engine is practically bulletproof, and renowned for its stellar torque. Reliable for off-road usage, plenty of modifications available, a bulletproof engine, and dirt-cheap pricing – that perfectly sums up the Cherokee, and is why you see so many of these used models still on the road today. The Grand cherokee is a bigger and more luxurious version of the boxier Cherokee. Suggested engines are either the six-cylinder that’s found standard on the Cherokee, or the available V8. Regardless, both provide great power and torque for off-roading. They aren’t as affordable as the Cherokee, but they provide much more room and comfort, which means you’re able to get a smoother off-roading experiences, without sacrificing capability. On top of that, you’re going to have a better vehicle for running the family around. Some of you might be laughing at this, but the Liberty is actually a decent off-road vehicle when you mod it. The only real downside is it has a IFS (independent front suspension), which many people say are terrible for off-roading. But, there have been cases where people have thrown a solid axle underneath a Liberty, which negates its biggest weakness. Now with a solid axle, it can get much more lift through larger tires. They can actually look quite cool, and while they aren’t as popular as the Cherokee or Grand Cherokee, they are still viable alternatives if you’re willing to put in a little elbow-grease and dish out some extra cash on mods to make it work. The point is, you have options. They might not be as good as a new Wrangler (although a used Cherokee comes pretty close in capability) but they are much more inexpensive, and you can still modify them easily and affordably for off-road use.